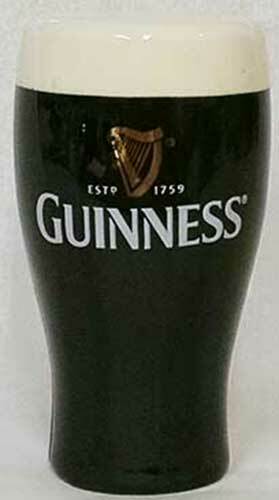 The Guinness salt and pepper shakers are fashioned in the classic pint shape; together both shakers nest in a yin and yang style. 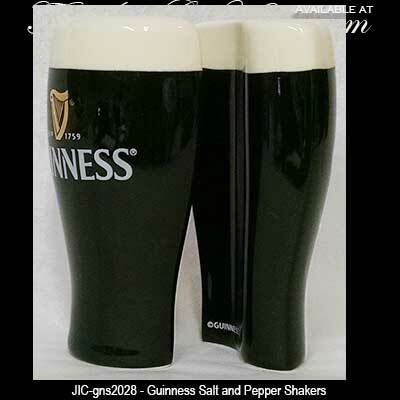 These Irish salt and pepper shakers are black and cream ceramic designs that feature the Guinness harp with gold accenting. 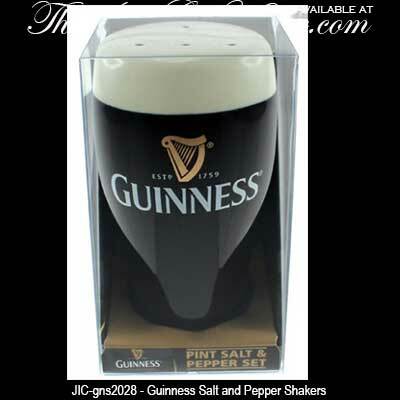 The Guinness salt and pepper set measure 2" wide x 4" tall and is gift boxed.